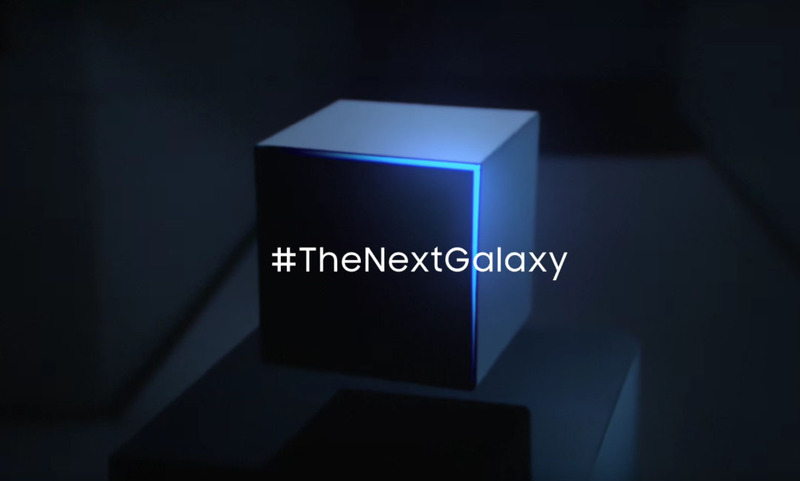 On February 21, we know that Samsung will show off “The Next Galaxy.” While their latest teaser for that event only mentions “Galaxy” in a singular form, we are fully expecting there to be two devices starring in their presentation. The first device should be the Galaxy S7 and the second should be a slightly bigger Galaxy S7 Edge, which is basically the new version of the Galaxy S6 Edge+. Want some confirmation of that happening? Look no further than Samsung’s own developer site, under the Look SDK section where you’ll find feature listing for their Edge devices. The image below shows “S7 Edge” mentioned twice next to “S6 Edge” and “S6 EdgePlus.” Umm, yeah, I’d say that confirms the phone’s existence. There is another mention lower in the page that talks about the S7 Edge and its “M OS,” in case you needed more. I’m going to take a wild guess here and suggest that is in reference to Android Marshmallow. 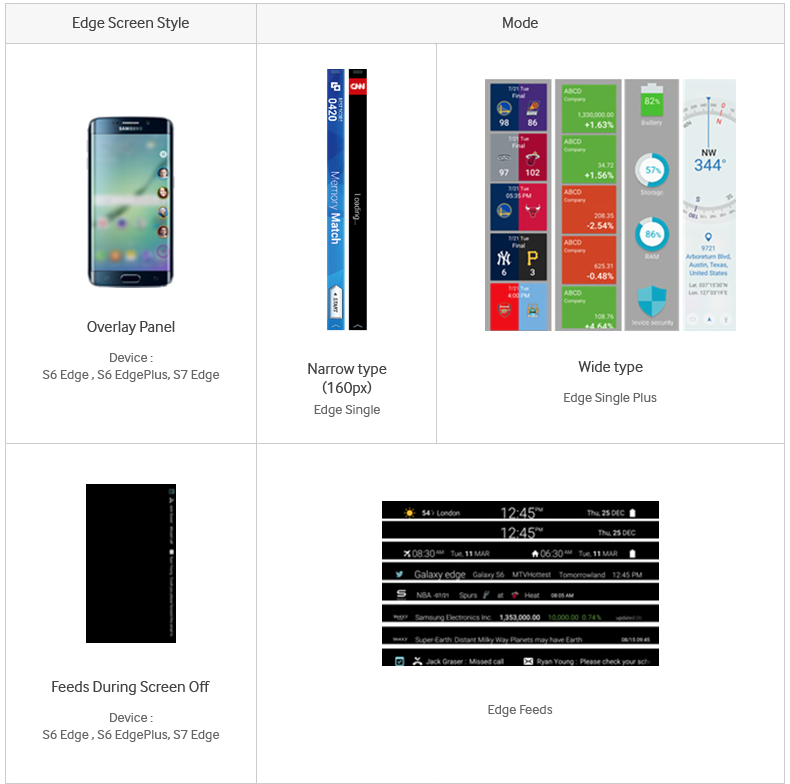 Beyond the confirmation, this page also appears to be giving us a sneak peek of a new feature that is coming to not only the Galaxy S7 Edge, but the S6 Edge and S6 Edge+ as well. In the box for “Wide type” and “Edge Single Plus,” we are seeing a wider panel that you should be accessible via swipe out when using one of those three Edge devices. You can see here that we are getting bigger sports scores, stock updates, system status (battery %, RAM, storage usage, and security), and a compass mode. That’s neat. 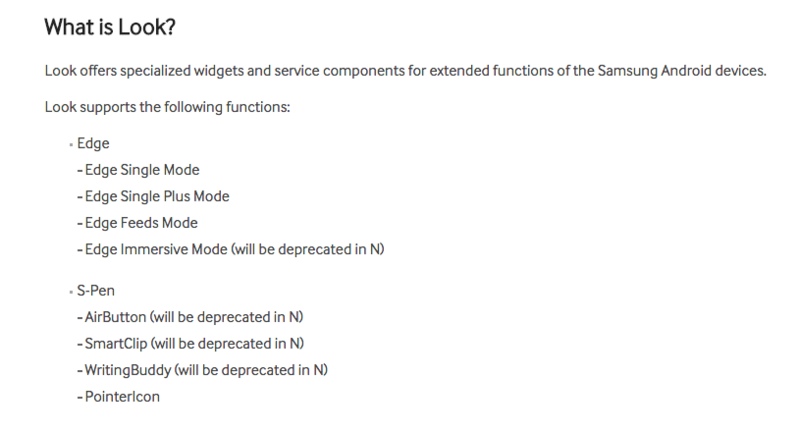 One could take this to mean that Android N will feature new stylus support or something along those lines, but since there isn’t mention of the Note 5 at all, which is Samsung’s newest S Pen device, I think this is more of Samsung admitting that these older features will die for good with Android N. That really just means that they won’t support them anymore and may even phase them out from these devices. That’s a whole bunch of hype in one developer page.